1. 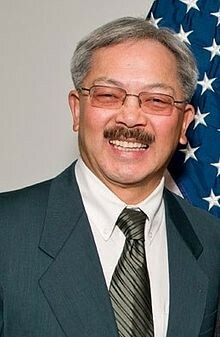 San Francisco Mayor Ed Lee said he plans to put a $250 million bond on the November ballot to pay for affordable housing in the city, as the region’s affordability crisis deepens, the Chron reports. The bond measure is part of Lee’s plan to build 30,000 affordable units by 2020. Housing activists, however, say that $250 million is not enough. Recent polling indicates that 75 percent of city residents would approve such a measure. 2. The poverty rate in the Bay Area remains at near record levels, with more than 800,000 residents living below the federal poverty line, despite the improving economy, the Bay Area News Group$ reports. And the number of residents who are actually living in poverty is likely much higher than 800,000 because the federal poverty line is extremely low — $23,550 annually for a family of four. 3. Oakland public school teachers, who have the lowest pay in the county, rallied for higher wages yesterday, the Trib$ reports. The school district is offering a 13.5 percent pay bump over 18 months, but teachers say that will still leave Oakland at the bottom of the wage scale. 4. The California Federation of Teachers, a statewide educators’ union, is demanding that the teachers retirement fund, CalSTRS, divest itself from gun manufacturers — as it vowed to do two years ago following the mass killing at a school in Connecticut, the SacBee$ reports. 5. And environmental groups are criticizing Governor Jerry Brown’s drought mandate because it includes no cuts on groundwater pumping for agriculture and still allows for fracking, which uses massive amounts of water.